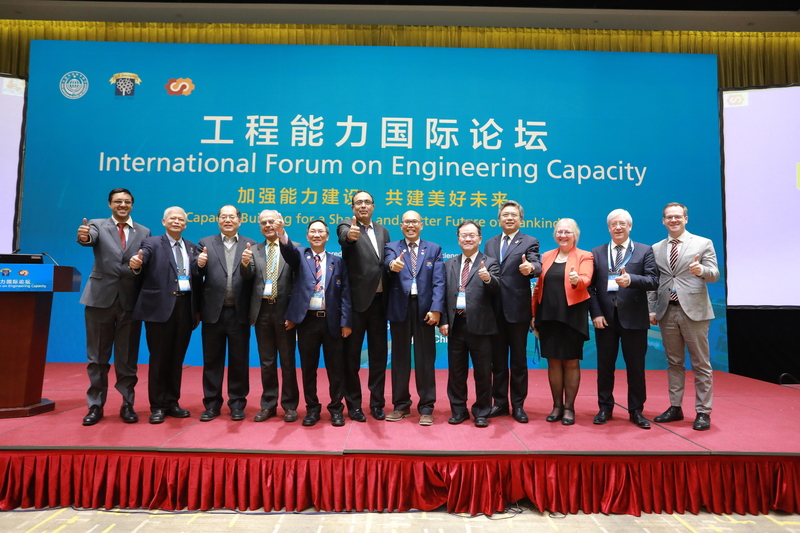 The International Forum on Engineering Capacity, held in Beijing from 21-23 November 2018 and hosted by the China Association for Science and Technology (CAST) was an important event to celebrate the 50th anniversary of the World Federation of Engineering Organizations (WFEO). 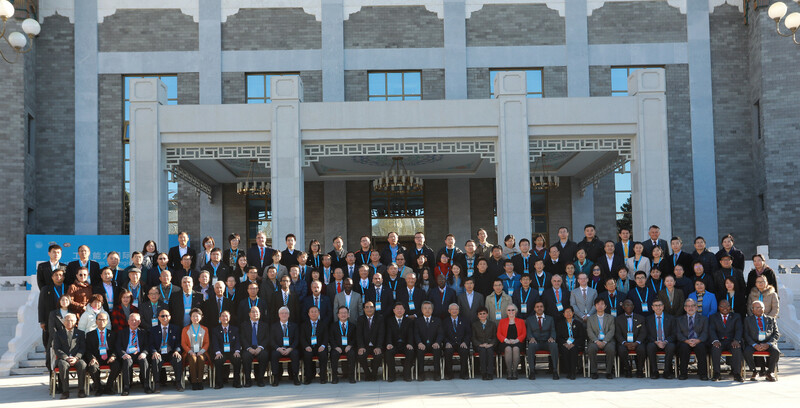 Over 160 representatives of 8 international science and technology organizations, 20 national engineering organizations and the UNESCO attended the conference. Shu Wei, Executive Secretary of CAST, Gong Ke, President-Elect of WEFO and Chair of the Program Committee and Shahbaz Khan, Director and representative of the UNESCO Regional Science Bureau for Asia and the Pacific, addressed the forum’s opening session, which was chaired by Prof. Wang Qinglin, Deputy Director-general of CAST’s Department of International Affairs. 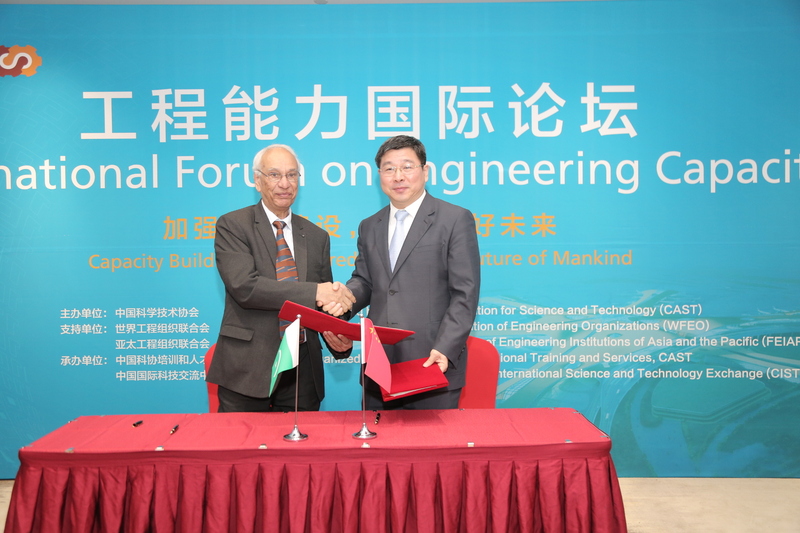 Themed “Capacity building for a shared and better future of mankind”, the forum consisted of three parts – plenary session, two parallel sessions (one on engineering capacity and standards and the other on engineering education and accreditation) and two professional visits (one to the China Science and Technology Museum and the other to Beijing Jiaotong University). 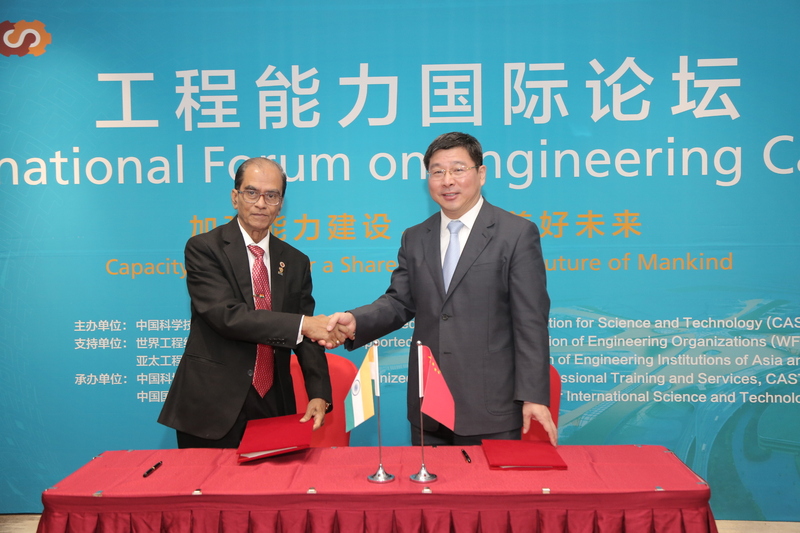 “As we look back at the history of the development of human society, we can clearly see that it is science that discovers the world and it is engineering that changes the world” Shu said, commending engineers for their important contributions to the progress of human society and the sustainable development of the world. 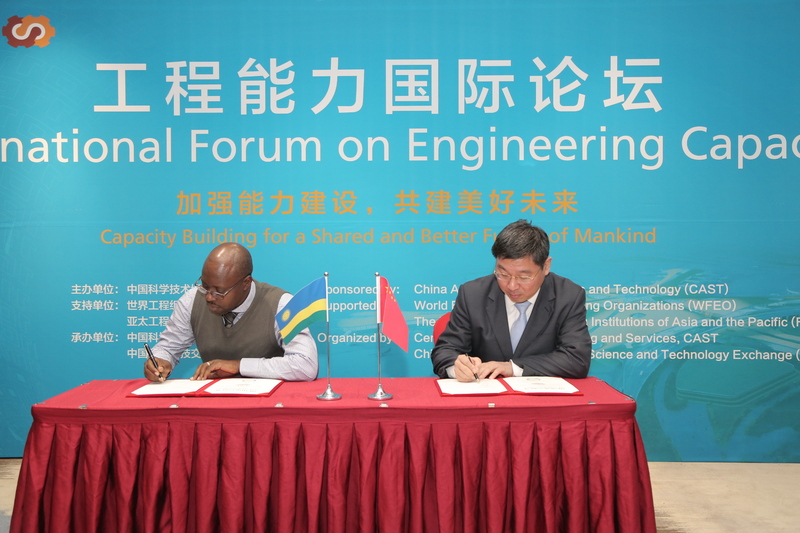 Shu then went on to note that the growing world population, the deepening economic globalization, the policies to build new types of industrialized countries and the UN 2030 Agenda for Sustainable Development have all raised new and higher demands for engineering capacity. 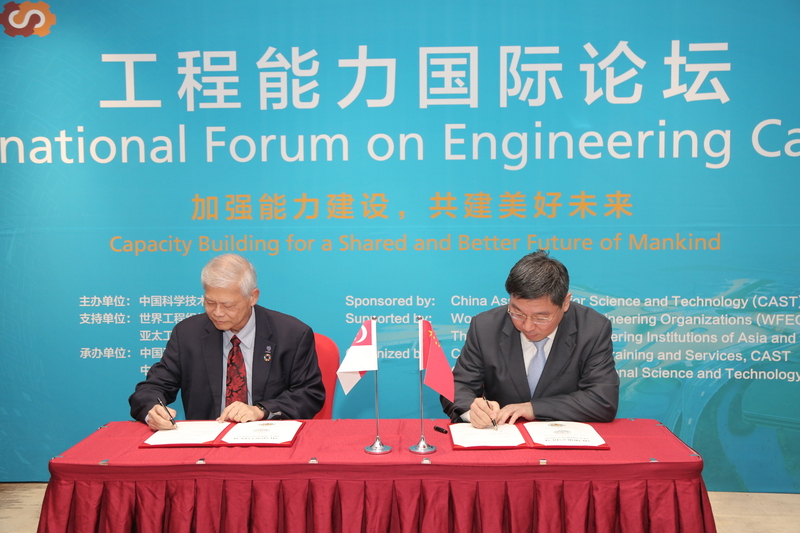 As China’s largest engineering organization, CAST is willing to work with international and national engineering organizations such as WFEO and its members to jointly improve engineering standards to keep with the times, promote mutual recognition of engineering capacity, establish effective lifelong education systems to ensure sustained improvement in engineering capacity, and promote mobility of engineering professionals worldwide. 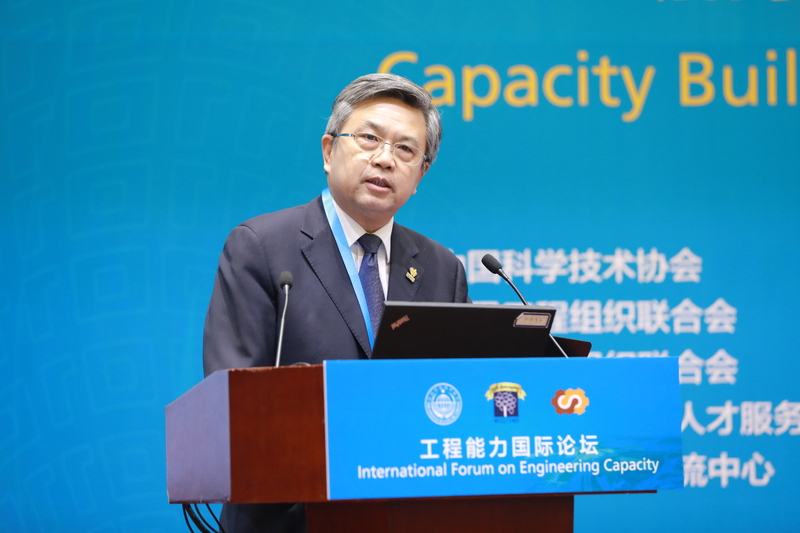 Keynote reports were given at the plenary sessions by Gong Ke, WFEO President-Elect (entitled “Engineer’s Capacity Building for Sustainability“), Tan Seng Chuan, WFEO treasurer and chairman of APEC Engineers Coordinating Committee (entitled “Mobility of APEC Engineer – The Opportunity in Belt and Road Initiative“), Wu Qidi, president of the China Engineering Education Accreditation Association (entitled “China Engineering Education & Accreditation“), and Yashin Brijmohan, Vice President of WFEO and Chair of WFEO Capacity Building Committee (entitled “Building Engineering Capacity and Capability for the Evolving Technological Era: Policy, International Standards, and Regulation“) respectively. 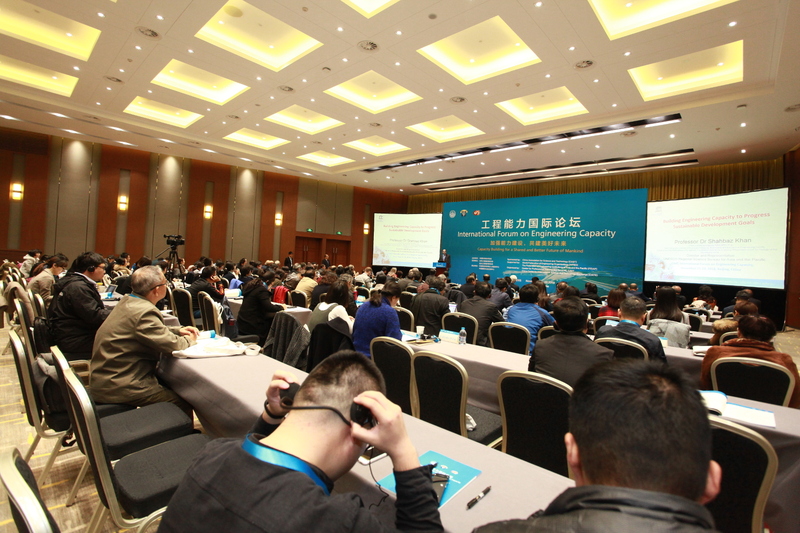 Representing CAST, Vice president of CAST He Huawu delivered a keynote report entitled “Future Oriented Engineers”. A representative from CAST Training and Talents Service Center briefed the attendees about the relevant information on Capability Evaluation of Professional Engineers General Specification which was released on Oct. 30, 2018. 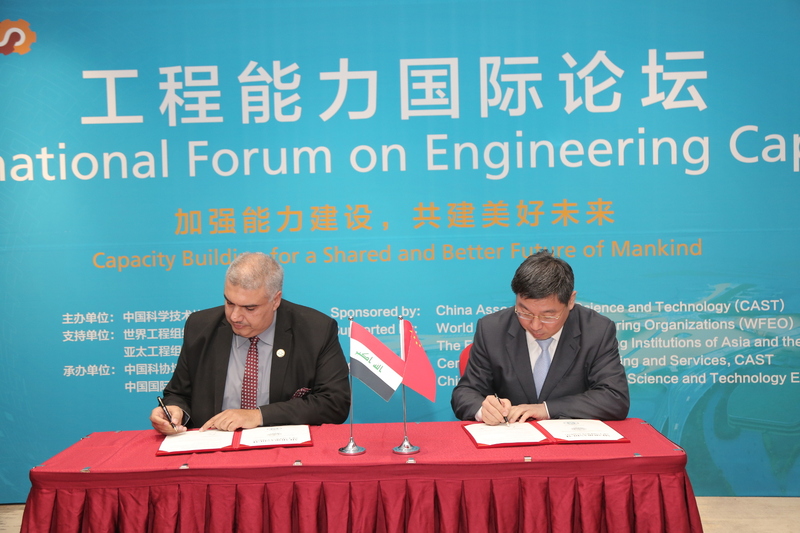 After two days of exchanges and discussions, participating experts agreed that they will continue to explore ways for mutual recognition of engineering capacity and standards and then professional standards in order to facilitate free mobility and employment of engineers in a globalized economy under the Belt and Road Initiative. Participants also reached the consensus that the UN agenda for sustainable development and the new industrialization goals of different countries should be incorporated into engineering capacity building and existing engineering standards should be updated so that engineers can better help translate national and global development blueprints into reality and build a better world. 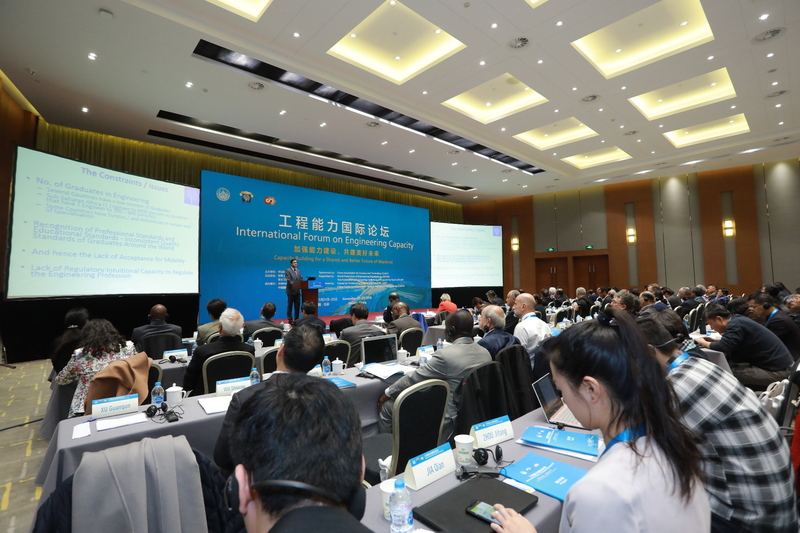 Participants believed that the international engineering community should strengthen coordination and communication and jointly elevate engineering capacity through more open, inclusive and win-win cooperation so that engineering technologies can deliver lasting benefits and better development to mankind. At the closing ceremony, CAST signed Memorandums of Understanding with institutions of engineers from Pakistan, Malaysia, Singapore, India, Iraq and Rwanda respectively.